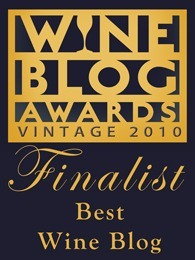 OK, so there’s this Wine Blog Awards thing going on right now. I’m honored that 1WineDude.com has been included as a finalist by the eleven secret judges – supposedly secret so that we couldn’t bribe them I guess, but then that’s illogical since by definition we wine bloggers don’t make enough to bribe them! 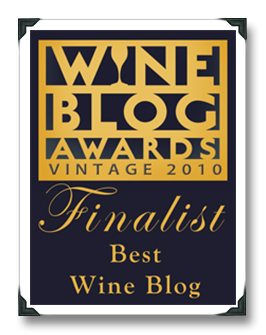 Joking aside (which admittedly is very, very tough for me), I am humbled and honored to have this blog included as a finalist in the category of Best Overall Wine Blog, especially given the talent, passion and quality behind the other folks nominated / finalized in that category. I work hard at the blog, and it’s nice to be noticed – it’s equally nice to see so many people I consider to be friends who are also finalists in the various categories – it’s like getting made in the mob or something (ok, not really). Now, it’s up to YOU to determine who will win in each category. Voting ends on May 30. I’d be thrilled if you “Vote Dude” but mostly I’d like to ask you simply to vote, period. This is your chance to help honor and encourage those wine blogs that you personally feel are making a difference in the world of wine. Congrats and good luck to all of the finalists! Congratulations! Your blog is always a pleasure to read, and it's good to hear that you've gotten recognition for it. You got my vote brother! thanks for posting this info, I will be clicking over to vote shortly. 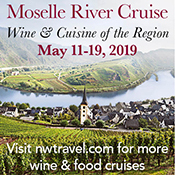 Thanks MM – will we see you guys (and your absinthe) again at the WBC in Walla Walla? 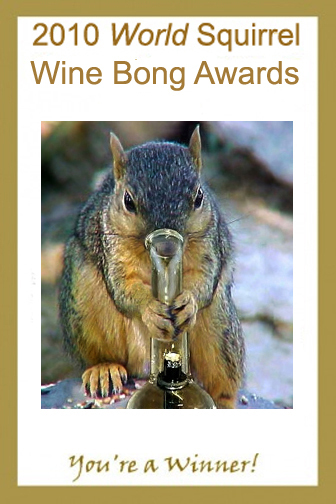 Thanks, Fredric – I'd better see you in Walla Walla when you collect your award…! Just wanted to say THANK YOU to everyone who voted, and especially those who Voted Dude! Cheers!